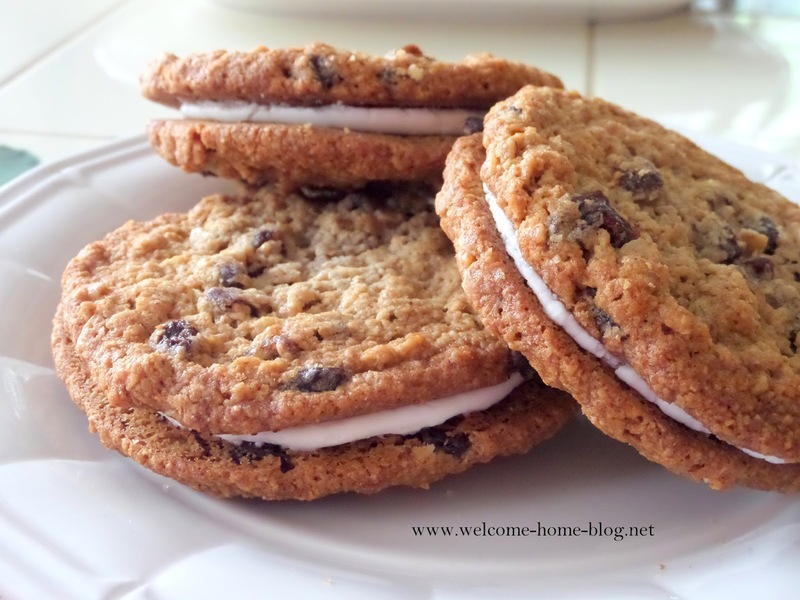 I love Oatmeal Raisin Cookies and I love anything cream filled so I already knew these would be a favorite before I made them. These kind of remind me of Little Debbie’s Cream Pies but they are not so cake-like. They’re more like a cookie with the same filling. I added a touch of lemon to offset the sweetness and they turned out great! Preheat the oven to 375 degrees and line a cookie sheet with parchment paper. Beat the butter, granulated sugar and brown sugars until smooth. Add the egg and vanilla. Mix in the flour, salt, cinnamon, and baking soda. Add the oats and stir until combined. I also added just a quarter cup of raisins to my batter but that's optional. Drop rounded spoonful’s on baking sheet and bake at 350 degrees for about 8-10 minutes. 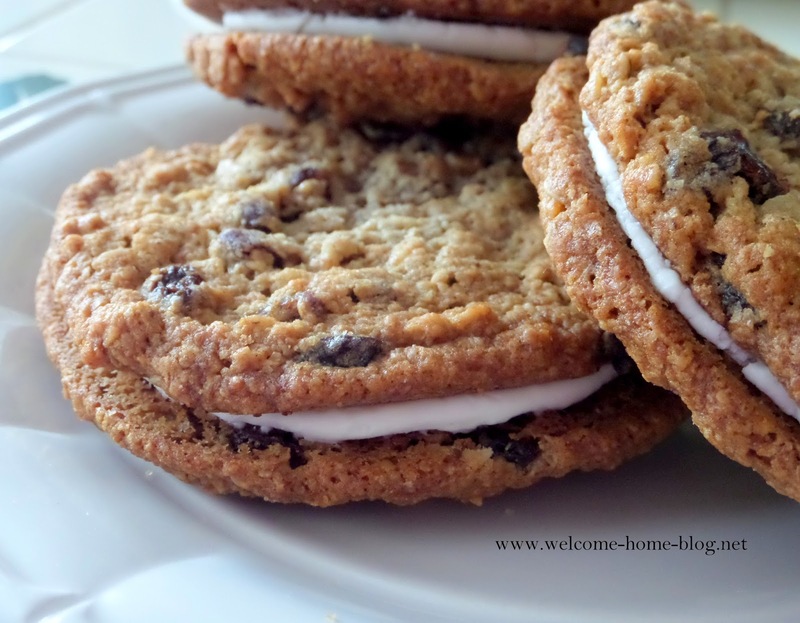 You want your cookies to be the same size so use an ice cream scoop to scoop out the dough. Remove from oven and allow cookies to cool completely before filling them. Combine butter, sugar, whipping cream, vanilla, and fresh lemon juice in a bowl. Beat on high until light and fluffy. Gently stir in your lemon. Make a sandwich with the cookies. Using a pastry bag with a round tip makes it easier.